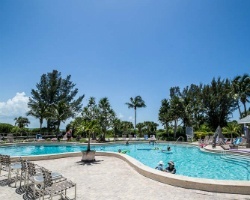 Soak up the sun of Sanibel Island with the luxurious timeshare accommodations at Tortuga Beach Club Resort. Find resales and rentals priced up to 70% off retail costs today. What’s My Tortuga Beach Club Timeshare Worth? 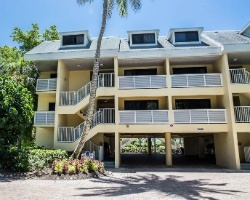 Nestled in a paradise unlike any other, the Tortuga Beach Club Resort focuses on accentuating the sights and sounds of Sanibel Island to provide an inviting and relaxing stay for its guests. Located on East Gulf Drive just steps from the calm Gulf waters, the Tortuga Resort offers the perfect chance to relax and escape the daily grind. From lounging by the resort's pool and hot tubs, to taking advantage of one of the dynamic family recreational activities, the resort specializes in acquainting you with the island way of life. The resort's accommodations include two bedroom townhouse-style units with incredible views of the ocean and resort grounds. With enough room for six people, the suites at the Tortuga Beach Club are guaranteed to offer the perfect amount of space and comfort for families or small groups. 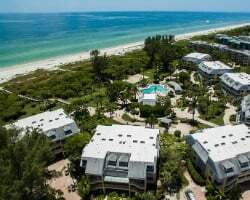 Common in-unit amenities include screened private balconies to enjoy the Sanibel sunset, fully-equipped kitchens to prepare your own meals, and washers and dryers for your ultimate convenience. Are you ready for years of amazing trips to Sanibel Island? Fill out the form on this page to learn more about owning a timeshare at the Tortuga Beach Club Resort, or call a representative at 1-877-815-4227 today. Purchasing a Tortuga Beach Club Resort timeshare resale can both simplify your trips to Sanibel Island and make them more affordable. Through the resale market, timeshares are sold by current owners instead of the resort itself. This means that prices for the same great ownership options are often much cheaper. You can secure a luxury timeshare unit at the resort for prices up to 70% lower than retail costs, offering you the deal of a lifetime. 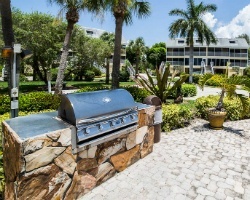 Resales at the Tortuga are commonly available in both deeded fixed and floating weeks, as well as in the form of Hilton Grand Vacations Club points. This will give you a great deal of variety when browsing for the right vacation ownership interval. You can also use your timeshare resale at the Tortuga Beach Club Resort to more easily enter the Hilton Grand Vacations Club. The Tortuga Beach Club is affiliated with the Hilton Grand Vacations Club, one of the best vacation clubs in the industry. As a resale owner, you'll have direct access to the club and some of its best benefits. While you won't be able to enroll in the club at the Elite level, you can still seek out some of the exclusive perks. 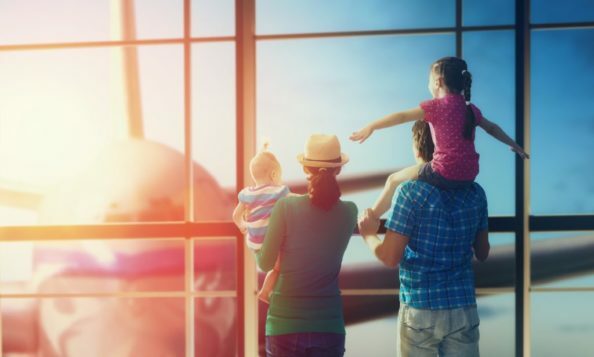 For example, you can bank and borrow HGVC points for more flexible vacation planning, trade those unused points for HHonors rewards points, and even internally exchange your timeshare to stay at other Hilton resorts across the globe. You can also exchange your Tortuga Beach Club timeshare resale to really get the most out of your ownership. The resort is affiliated with RCI, the world's largest timeshare exchange network. Simply deposit your accommodations into RCI's network and trade for stays at comparable resorts worldwide. What's more, the Tortuga Beach Club is a RCI Gold Crown-rated resort, noting its excellent amenities and accommodations. This means you'll likely be matched with similarly excellent resorts when exchanging. You'll find a great deal of on-site amenities and services at the Tortuga resort that will help make your stay one of comfort and pure relaxation. Start at the resort's heated swimming pool or whirlpool spa, the perfect spot to enjoy the beautiful outdoors that surround the resort. The more active vacationer will enjoy the four tennis courts and pickleball courts on site, while the fitness center is perfect for staying on top of those exercise goals. Golfers should take advantage of the waived greens fees over at the Dunes Golf & Tennis Club, as well. Nearby, the Sanibel Island area is perfect for any type of traveler. Guests at the Tortuga will find exquisite restaurants and boutique shops all around the island. Venture out to explore the island's beauty at sites like J.N. Darling National Wildlife Refuge and the Sanibel Island Lighthouse. Head down to the waters of the Gulf of Mexico to explore the nearly limitless potential for swimming, paddleboarding, and boating. Already Own at Tortuga Beach Club Resort?